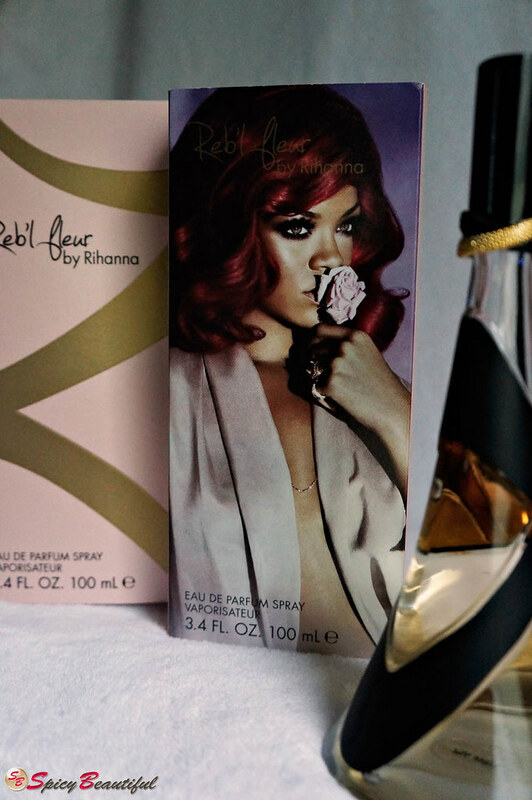 Rihanna launched her first fragrance in 2011 with Reb’l Fleur. This fruity floral concoction is inspired by the popstar’s glamorous NYC life with attributions to her roots back in Barbados. The noses behind this fragrance are perfumers Caroline Sabas and Marypierre Julien who created Glowing by Jennifer Lopez and 5th Avenue Nights by Elizabeth Arden, respectively. It is housed in a transparent high heel shaped flacon showing the amber perfume liquid inside. 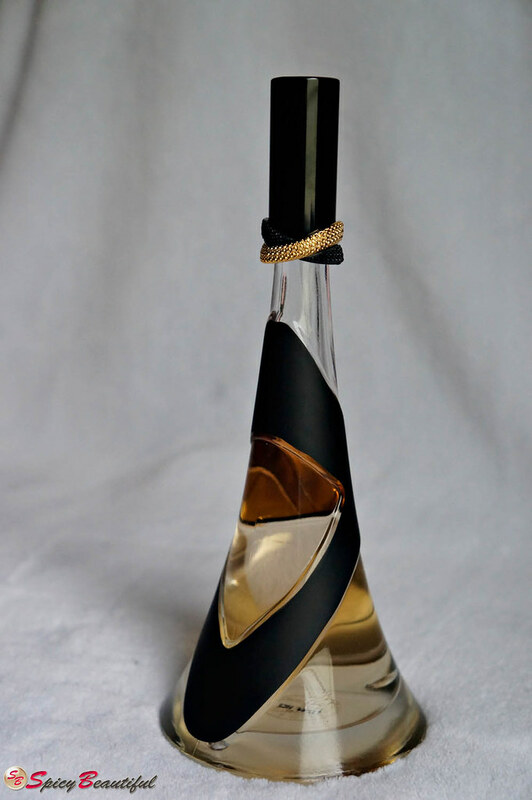 It is adorned with black ribbons and a golden ring enclosing the cap. 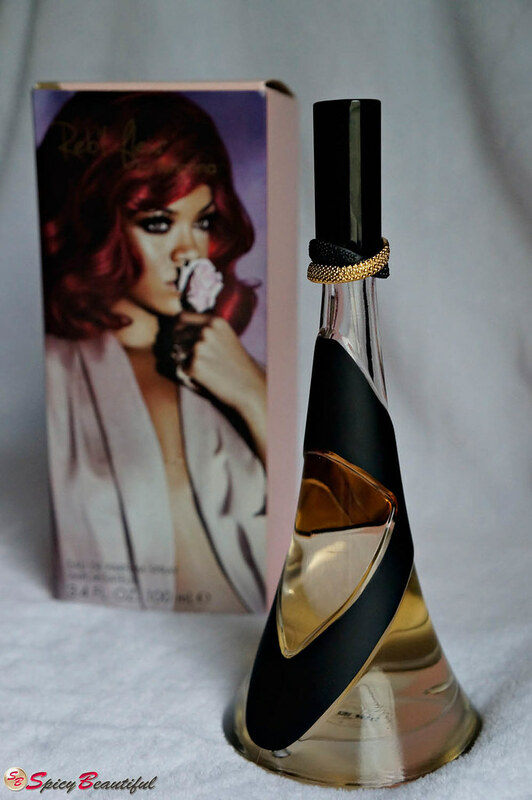 The fragrance is available in in 50 or 100 ml Eau de Parfum. My first attempt to wear Reb’l Fleur didn’t go very well. I actually forgot that it was EDP so when I sprayed it on, I kind of sprayed it too much and it really made me dizzy. It was almost as if I had a flower-bomb explosion in my nose and my world just went crashing down. Just writing about it makes me cringe…. Ugh! Anyway, my second attempt went very well (thank you very much). Reb’l Fleur was everything I expected her to be. I love fruity and floral perfumes to begin with so the chances of me liking this perfume were pretty high. The plum and tuberose are the notes that really got me interested with Reb’l Fleur in the first place and I’m glad that they are also the dominant notes in her fragrance body. The plum smelled very juicy while the tuberose grabs a hold of it and doesn’t’ let go from start to finish. The vanilla from the base gave her a creamy and powdery finish that made the body of the fragrance warm and comforting. I still wonder how I can smell a little patchouli in there even if it’s not listed in the official fragrance notes release, perhaps it’s a result of the musky accords at the base? I can also smell a sharp peachy note that seems to pop up every now and then which is great because it makes the fragrance not too linear in my opinion. The sillage is great and the scent stays close to the skin after 4 hours of wear. Reb’l Fleur lasts for 10 hours with noticeable fading on the 8th hour which is monumental. Overall, Reb’l Fleur is a beautiful fruity floral fragrance that is refreshing as it is warm and comforting. It leans toward warm so I prefer wearing this during the “not-so-hot” months since we really don’t experience cold months down here. If you’re a lover of fruity and floral fragrances, this is definitely worth checking out.